We use only the highest quality legal cannabinoid extracts combined with Pharmaceutical Grade Coconut Oil (refined for inhalation) to produce or proprietary signature gold blend formula. Our natural extracts are sourced from cutting-edge strains of the Cannabis plant grown in the US and EU grown specifically to maximise the presence of non-psychotropic legal cannabinoids. This enables us to create our powerful, natural formula found in every MediPen® using only the highest quality raw plant matter available, unlike other cannabinoid products which generally use inferior parts of the hemp plant such as stalks and seeds to create a much weaker blend. Please click on the static images for a direct link to our website with further information. ​New Bonus PDF: Get access to a free PDF version of the Organic Marijuana Guide. Includes Everything you need to know about Organic Marijuana and more! Organic vegetables are sometimes twice the price of non organic vegetables. Are the benefits worth it? I guess that depends on who you ask. When you look at the benefits of organic marijuana,it will seem pretty surprising that it’s not widely popular. Let’s take a look at the final product that makes it into the hands of customers as well as the environmental impact or organically grown cannabis. Better Potency, Taste and FlavorMother Nature makes tastier goodies. The thing that should really sell you on going organic when it comes to weed? Organic marijuana tastes better and has more flavor. When you force feed the plants with crappy soils filled with harmful toxins, it’s never good for the overall taste of the finished product. When you let your marijuana grow naturally, it will grow the way that it is naturally inclined to grown the way it’s been growing for thousands of years. And we all should know better than to mess with Mother Nature. Like any plant, marijuana has complex requirements in order for it to grow optimally. When your focus is mass production, you’re tampering with nature’s complicated methods by adding chemicals. Nature is a complicated lady and it is impossible to match her awe perfectly. If you mess with the way a plant naturally grows, you can bet your behind that fall short of it’s full potential. Organic plants are left to their own devices and are therefore optimized for flavor and aroma. Mother Nature makes tastier goodies. Organic cannabis produces the perfect amount of terpenes, terpenoids and cannabinoids:the aromatic combinations that give cannabis its smell. cannabis owes its sweet or citrus aroma to the dozens of these compounds present within its stems and leaves. Put simply, the more terpenoids and terpenes there are, the better the marijuana will smell and the more flavor the final product will have. Best of all? Organic is consistent. You’ll never look at organic marijuana and wonder, “What did the grower put in this? Are there hidden toxins I may not know about?”, You never have to wonder because you know that it’s all natural. As a result, all users can enjoy the strong effects of their unhindered product. TKO Reserve specializes in "beyond organic" and sustainable cannabis cultivation. Specializing in connoisseur, exotic strains, TKO Reserve is the exclusive cultivator of Sherbinski genetics in Oregon. We are state-licensed in Oregon and Washington, providing Dragonfly Earth Medicine PURE Certified cannabis to the adult-use markets. Himalayan salt is one of the most valuable food additives, as it is the healthiest, purest salts. 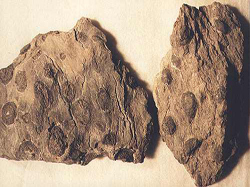 It originates from the Himalayan caves and is more than 250 million years old. Even nowadays, it is manually removed from caves, and washed afterwards. The highest- quality rocks are crushed and used in the preparation of table salt, while the larger ones are used for treatments and relaxing baths. It is first dried in the sun and then placed in organic bags, in order to preserve its properties and purity. It has a strong flavor, so you will significantly reduce the daily intake of salt, as Himalayan salt is used in smaller amounts. Its numerous beneficial properties have been recognised and appreciated for ages, and in Korea, it was used as a trade good, while the Romans used it to pay their soldiers. Since it does not raise the concentrations of potassium and sodium, like salt, Himalayan salt does not increase blood pressure. However, it has numerous other health benefits as well.Sodium is a vital nutrient for the balance of the electrolyte concentration, and it supports the normal muscle function and regulates blood pressure. This salt also improves blood circulation in the legs and arms. Himalayan salt contains even 84 components present in the human body, so it provides numerous important vitamins and minerals. Since they are really small, the minerals in it are easily digested, and its high amounts of sodium, magnesium, iron and calcium boost our health. Due to its innumerate health benefits, it is also known as white gold. Please click on above image for full health benefits and uses. CHECK YOUR SYMPTOMS - FIND A DOCTOR - WebMD Provides Better information & Better health. Find the Natural Cancer Treatment for YouCancer Tutor is a leading voice in natural cancer treatment and prevention.This website is a cumulative product of cancer researchers and affiliates of the Independent Cancer Research Foundation, Inc. (ICRF). The ICRF is a 501(c)(3) non-profit educational organization, headquartered in Nevada, USA. It was founded by R. Webster Kehr in 2006 to research and report on the most effective natural cancer treatments available. Cancer Tutor is not just for those with cancer. Many natural health practitioners and researchers have recognized Cancer Tutor as being a seminal force in their journey. Because CancerTutor.com receives no advertising dollars and sells no products, it has remained a safe haven for the truth — a place where cancer researchers and patients can share their successes and their failures without fear. From its first online article in 2003 to now reaching more than 20,000 daily visitors, it has become a lifeline for countless patients, practitioners and researchers worldwide. 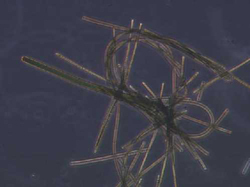 Spirilulina is one of the oldest organic life supporting agents on this planet. This amazing Anchor super food is an attribute to all carbon life forms and will (CAN) help every "BODY" if they wish to enhance their system and health. I have not found any negative write-ups on Spirulina after extensive research; I am currently taking a daily dosage and I have noticed considerable positive results. "I plan on a forty year course if I am lucky! ;)" . Spirulina is one of hundreds of algae species and is commonly known as blue green algae. It’s a rich source of nutrients, containing up to 70% protein, B-complex vitamins, phycocyanin, chlorophyll, beta-carotene, vitamin E, and numerous minerals. In fact, spirulina contains more beta-carotene than carrots. Considered one of nature’s most perfect foods, it has been used since ancient times as a source of nutrients and has been said to possess a variety of medical uses, including as an antioxidant, antiviral, antineoplastic, weight loss aid, and lipid-lowering agent. High Cholesterol: Some studies support the cholesterol-lowering effects of Spirulina. Larger studies are being made for a definitive conclusion. Hypothyroidism, Hashimoto’s or Graves’ disease: Spirulina contains thyroid-supporting minerals like iodine, and the amino acid tyrosine, which together make up one form of thyroid hormone. 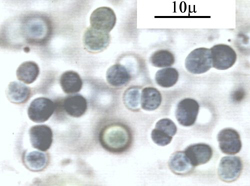 Hayfever, and/or mold allergies: Spirulina appears to block the production of interleukin-4. Some researchers believe that spirulina may decrease or prevent some allergic responses and block the release of histamine from mast cells during an allergic reaction. By blocking histamine release, spirulina may prevent or lessen histamine’s effects. Neuropathic pain or heavy metal burdens (lead, mercury, arsenic): Spirulina acts as a chelator and might help rid the body of these toxins. Type 2 diabetes: protects the pancreas and insulin-producing cells so it might be able to help prevent or reverse diabetes. Studies have shown that Spirulina helps diabetics control their food cravings. 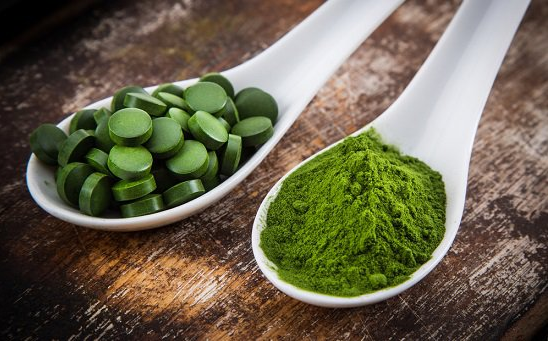 Spirulina may interact with certain drugs taken for immune system disorders, high blood pressure (ACE inhibitors), inflammation, diabetes, high cholesterol, neurologic conditions, and viruses as well as blood thinners and antihistamines. Spirulina may also interact with drugs taken for weight loss, cancer, heart disorders, and osteoporosis. There is a possible interaction when taking spirulina with drugs that are potentially toxic to the kidney. 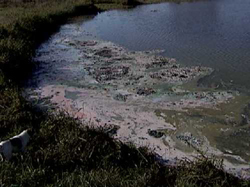 Blue-green algae are used as a source of protein, iron, vitamins, and minerals. It is used for leukoplakia, blepharospasms, attention deficithyperactivity disorder (ADHD),diabetes, premenstrual symptoms (PMS), allergies, stress, fatigue, digestion aid, wound healing, and to improve the immune system. Anti-inflammatory and immunomodulatory effects of Spirulina platensis in comparison to Dunaliella salina in acetic acid-induced rat experimental colitis. 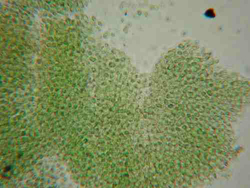 Spirulina manufacturer Cyanotech has compiled a ‘library’ of major studies that demonstrate the health benefits of the microalgae, designed to serve as an easy point of reference for industry. The document contains 435 abstracts of human and animal studies conducted at universities, government sponsored research facilities and by private researchers around the world. The 441-page document, available through Cyanotech, is divided into two sections. The first lists study abstracts by health condition categories based on research on spirulina. The second lists key nutrients found in spirulina, listing study abstracts demonstrating health benefits of each nutrient. Spirulina is a cyanobacterium (blue-green algae) that can be consumed by humans and other animals. 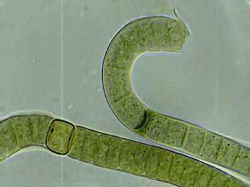 There are two species, Arthrospira platensis and Arthrospira maxima. Spirulina is extremely high in Chlorophyll, which helps remove toxins from the blood,improve immunity and ward off infection and chronic illnesses such as cancer. Amino acids make up 62% of spirulina, including the essential fatty acid and gamma linolenic acid (GLA). The protein in Spirulina is highly usable and has a net protein utilization rate of between 50-61%. Spirulina contains vitamins B-1(thiamine), B-2 (riboflavin), B-3(nicotinamide), B-6 (pyridoxine), B-9 (folic acid), vitamin C, vitamin D, vitamin A and vitamin E.
Spirulina helps clear intestinal tract and eliminate body junk. Spirulina provides necessary nutrients for human body, while reducing the formation of lactic acid in the muscles. So it plays a role in fighting fatigue. Algal polysaccharides, phycocyanin and allophycocyan in spirulina can prevent radiation damage. 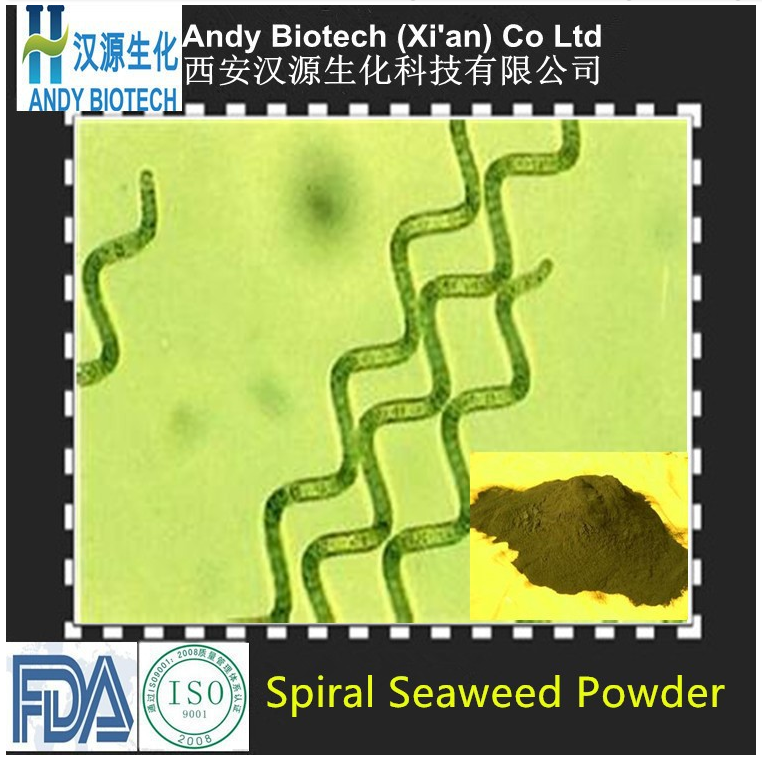 Andy Biotech (Xi’an) Co., Ltd is a Chinese manufacturer dedicated to the research and development of natural products which is a market oriented, technology-driven high-tech enterprise. The company devotes to the commercialization of natural products. We definitely offer high quality natural organic products and technical services for health care, health food and cosmetics industries. Medicinal plants have historically proven their value as a source of molecules with therapeutic potential, and nowadays still represent an important pool for the identification of novel drug leads. 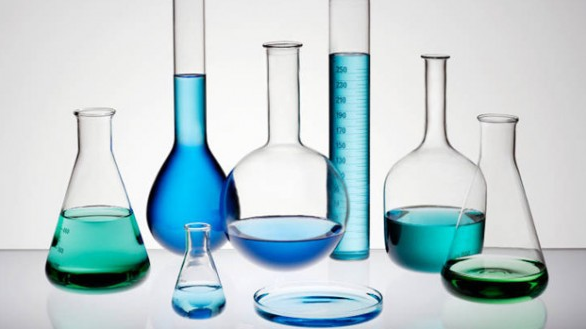 In the past decades, pharmaceutical industry focused mainly on libraries of synthetic compounds as drug discovery source. They are comparably easy to produce and resupply, and demonstrate good compatibility with established high throughput screening (HTS) platforms. However, at the same time there has been a declining trend in the number of new drugs reaching the market, raising renewed scientific interest in drug discovery from natural sources, despite of its known challenges. In this survey, a brief outline of historical development is provided together with a comprehensive overview of used approaches and recent developments relevant to plant-derived natural product drug discovery. Associated challenges and major strengths of natural product-based drug discovery are critically discussed. A snapshot of the advanced plant-derived natural products that are currently in actively recruiting clinical trials is also presented. Importantly, the transition of a natural compound from a “screening hit” through a “drug lead” to a “marketed drug” is associated with increasingly challenging demands for compound amount, which often cannot be met by re-isolation from the respective plant sources. In this regard, existing alternatives for resupply are also discussed, including different biotechnology approaches and total organic synthesis.While the intrinsic complexity of natural product-based drug discovery necessitates highly integrated interdisciplinary approaches, the reviewed scientific developments, recent technological advances, and research trends clearly indicate that natural products will be among the most important sources of new drugs also in the future. Please click on the image below for more information. 1) Molecular medicine, therapeutic targets, and mechanisms of pharmacological action. 2) Cell signalling and regulatory mechanisms relevant for cardiometabolic disease and inflammation.